Did you ever think about what it takes to look like a celebrity or a princess? 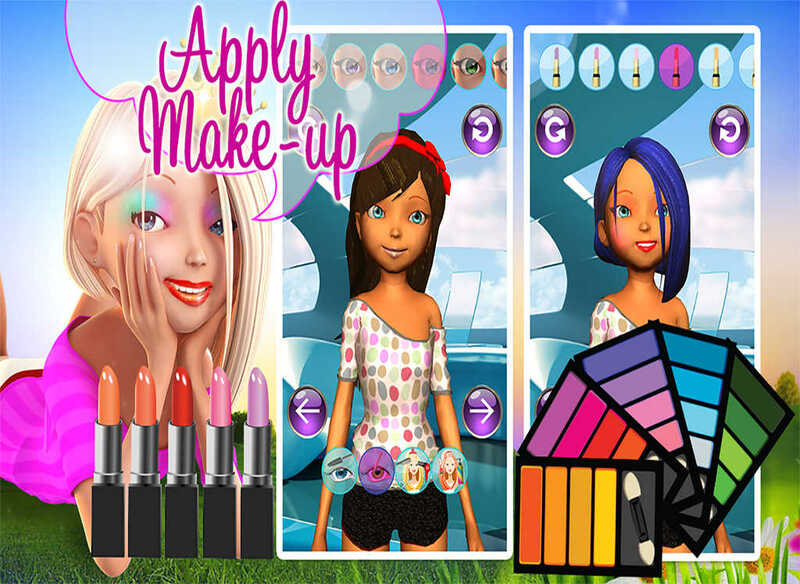 With this app you will be able to experience all the beauty treatments that they are normally going through. Here you will be able to decide how your young celebrity should look like. 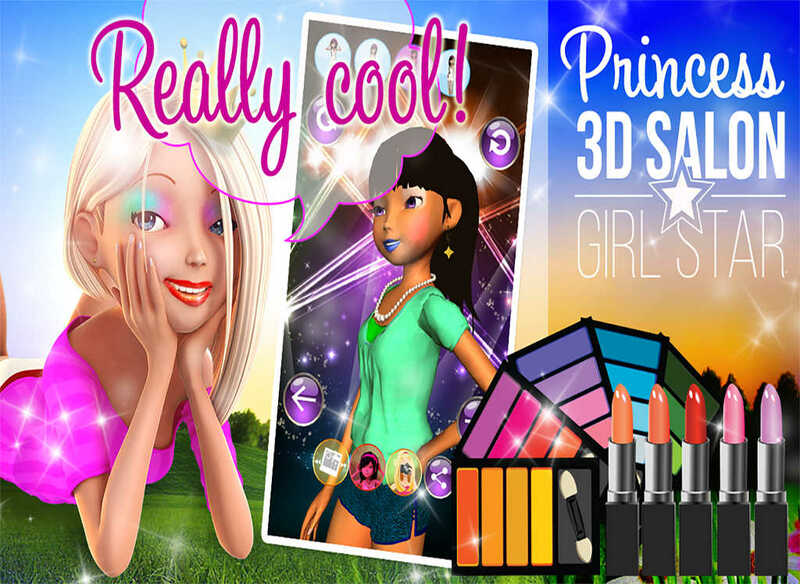 Start by choosing the skin color your princess model should have. After that, begin with some relaxing spa treatments to make sure that her skin is clean and as smooth as the one of a baby. Wash her hair and make it shine with some cool glitter effects. Another step will be to choose the best looking haircut and to find the right make up. Moreover if you should think that she would look nicer with a different eye color, you will be able to apply her some colored contact lenses. You will be spoiled for choice in selecting the best matching, eye shadow, lipstick, blusher etc. To finish the makeover it remains only to choose the right clothing, shoes and accessories. When your model is completed you can speak with her and she will repeat everything you say. 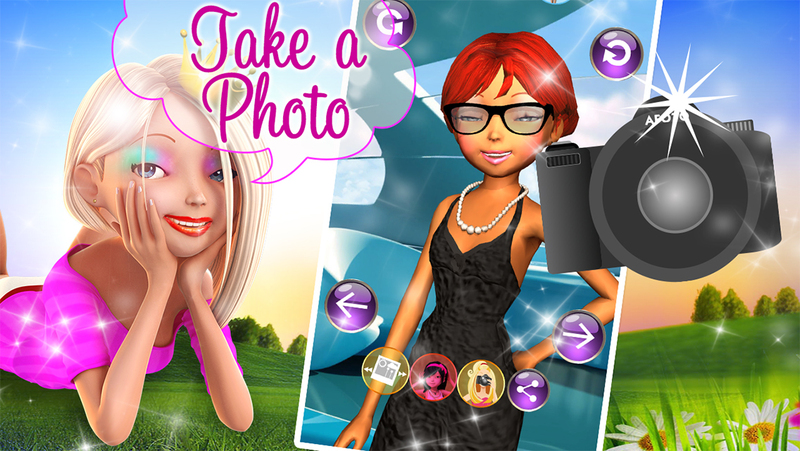 After the makeover, you can save and share the pictures of your princess (vip) per mail, with Whatsapp, Twitter, Skype, or simply upload them to Facebook, Flickr, Dropbox etc. To get read of the pimples you need to rub on them until they disappear. - Many different backgrounds: Beach, country side, disco, castle etc. - Accessories, including earrings, necklaces, etc. - Talking part where the princess repeats everything you say. Enjoy hours of fun and with this entertaining free app!